DARPA researchers successfully treat previously lethal doses of radiation using bactericidal/permeability-increasing protein (BPI) and antibiotics. Furthermore, this treatment was found to be effective up to a day after exposure to toxic levels of radiation. 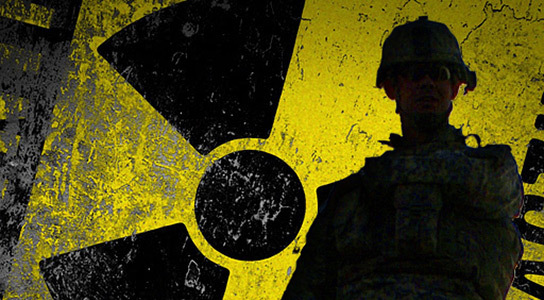 Multiple scenarios exist where warfighters may be exposed to high levels of radiation. Countermeasures against possible high doses of radiation are an ongoing high priority for Department of Defense research and development organizations. Scientists working on a DARPA-funded research effort have determined that an antibiotic and a protein fight radiation sickness more effectively when they are combined than when used separately. While doctors already use antibiotics to treat radiation sickness, researchers have found that adding bactericidal/permeability-increasing protein (BPI), a protein found in immune systems, allowed them to increase the survival rates of mice exposed to toxic levels of radiation to nearly 80 percent. More important, this treatment with BPI and antibiotics was effective up to a day after exposure to radiation. “The fact that this treatment can be administered up to a day after radiation exposure is so important,” said Millie Donlon, DARPA’s program manager for this effort. “This is because most of the existing treatments we have require they be administered within hours of exposure to potentially lethal radiation – something that might not always be possible in the confusion that would likely follow such an exposure event.” Humans are known to be more sensitive than mice to the endotoxins treated by BPI, making a treatment such as this potentially more effective in humans. These are commonly used drugs that have been approved by the Food and Drug Administration for use in other scenarios such as bone marrow transplants and radiation treatment. They also have a long shelf life, making them easy to stockpile for future use. Researchers have yet to determine why the combination of BPI and antibiotics work so well together. They’ve found, however, that mice that received both of these drugs not only had higher survival rates, but also started generating new bloods cells more quickly. This has potential for positive impact on many logistical considerations tied to radiation exposure, such as need for hospital time and requirements for donors and transfusions. This research is the result of earlier efforts in this area conducted as part of DARPA’s Radiation Bio-Dosimetry (RaBiD) program. RaBiD was an effort to develop non- or minimally invasive, portable and low-cost radiation bio-dosimeters, as well as novel radiation mitigation technologies that can be administered 12 or more hours after exposure and provide better than 90-percent survivability to humans. RaBiD began in 2008 and ended in August of last year. Be the first to comment on "DARPA Researchers Treat Previously Lethal Doses of Radiation Successfully"